EA mobile revenue rose nine per cent year-on-year to $181 million in Q3 for the 2019 financial year. That was down from Q1 and Q2 however, during which times EA Mobile generated $233m and $220m. Mobile net bookings delivered $142 million, down 22 per cent year-on-year. The publisher expects mobile earnings to be down for the year. Total net revenue for EA rose 11 per cent year-on-year to $1.289 billion. It’s the highest quarter of the 2019 financial year so far for the publisher, but fell short of expectations. Net income rose to $262 million, up significantly from a loss of $186 million during the three months ending December 31st 2017. EA’s most recent big mobile game launch was Command & Conquer: Rivals. In an earnings call, as transcribed by Seeking Alpha, EA CEO Andrew Wilson said while the game had experienced positive soft launch results, “it has not driven installs organically at the levels we anticipated”. Meanwhile EA CFO Black Jorgensen admitted that recent changes made to Madden Mobile reduced monetisation, and the fact the company moved one of its mobile releases out of the financial quarter, affected overall company earnings. Interestingly, one of EA's big recent mobile releases, The Sims Mobile, was not mentioned during the earnings call or cited in the financial report. It’s not all negative though, EA’s Command & Conquer mobile game in China has been a regular top grosser in the country and Wilson noted in an earnings call that it was performing “very, very well”. Wilson called the mobile market an “increasingly challenging” space, resulting in somewhat of a change in strategy for EA Mobile going forward. “The data we have indicates that the average age of top 20 titles is greater than three years, and that it’s harder than ever for new games to break through,” said Wilson. 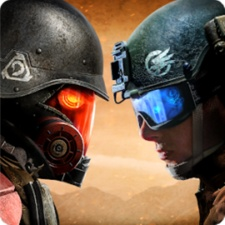 “With our latest release, Command & Conquer: Rivals, we had positive soft launch results, but since global release it has not driven installs organically at the levels we anticipated. We are now working to bring more players into that game. “We continue to be committed to mobile. We believe in the value of our franchises in the marketplace, and we are doubling down on these games through live services. We are also putting our best teams on bigger projects, and exploring additional ways to create and iterate quickly. EA was linked with a move to acquire mobile games publisher Zynga last year. Whether it could afford such a deal, and whether its something investors would want, is unclear. But it would certainly provide a boon to EA's declining mobile business.